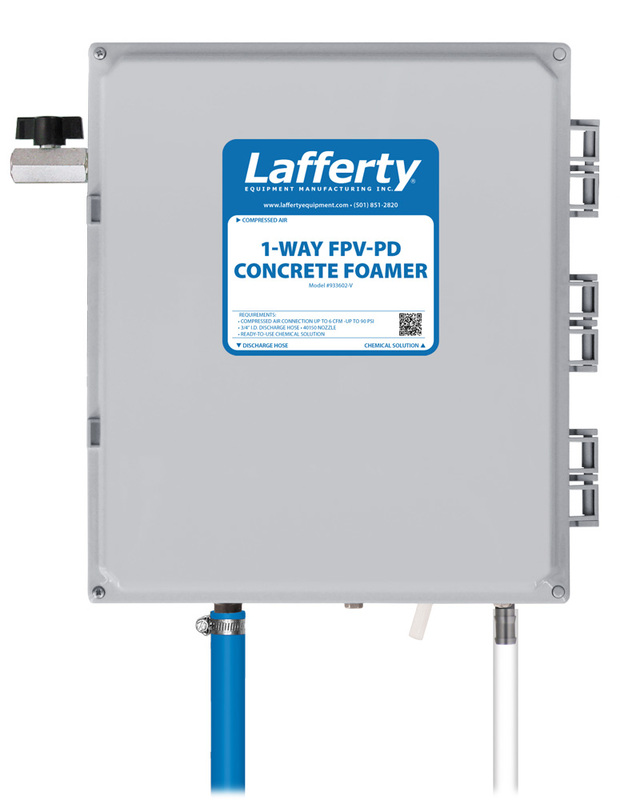 1-Way FPV-PD Concrete Foamer | Lafferty Equipment Manufacturing, Inc. The 1-Way FPV-PD Concrete Foamer is a foam applicator for projecting highly corrosive chemicals such as those used to remove concrete and for aluminum brightening. This acid-resistant system uses a cost-effective Flojet air-operated, double-diaphragm pump to draw ready-to-use acid solution from a static tank and inject compressed air to greatly increase volume and coverage ability. Rich, clinging foam is projected through the hose, wand and fan nozzle on to any surface.